Oh, the defects you should know! 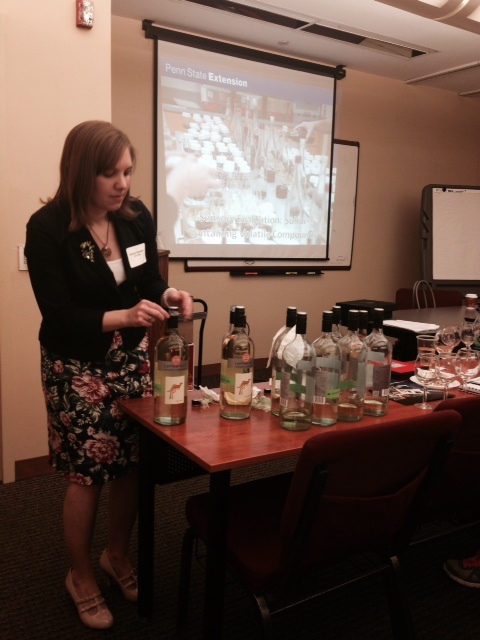 Denise Gardner of Penn State Extension presented at the New Jersey Center for Wine Research and Education’s first annual winemaking workshop on Wednesday, April 29, 2015. Hosted at the Rutgers EcoComplex, Ms. Gardner provided members of the wine industry with valuable information regarding wine defect identification and remediation. During the workshop, attendees received hands-on training and expert knowledge about improving wine quality. Denise Gardner, Penn State extension enologist, leads an aromatic sensory evaluation of sulfur-containing volatile compounds. 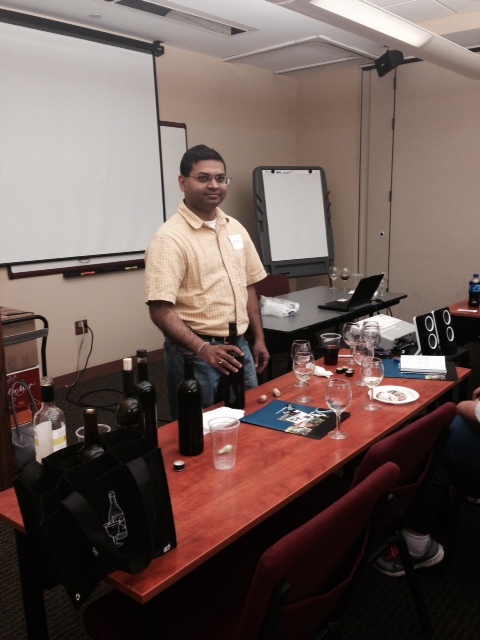 Dr. Hemant Gohil, Rutgers New Jersey Agricultural Experiment Station agricultural agent, leads evaluation and discussion of NJ wines. A special thanks to the Rutgers EcoComplex, for providing the accommodations necessary to make this year’s winemaking workshop a success! All food leftover from lunch was donated to Extended Hand Ministries, courtesy of the Rutgers EcoComplex. Support provided by the Wine Industry Advisory Council, Rutgers New Jersey Agricultural Experiment Station, and New Jersey Center for Wine Research and Education.